Alberto Orozco is a Partner in the Houston Forensic Services Practice of PwC. 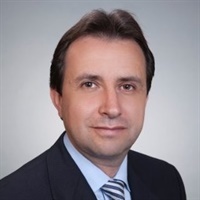 Alberto has almost two decades of experience providing financial consulting, assurance and business advisory services to clients in various industries, including Oil and Gas, Telecommunications, Automotive, Technology and Hospitality. Alberto leads the Latin America practice of PwC in Houston and has leaded major international engagements supervising various teams around the world. Alberto provides financial advisory services to clients, including assessment and implementation of compliance programs, assessment of financial and monitoring controls, performing fraud and corruption risk assessments, anti-bribery and anti-corruption (ABAC) due diligence reviews, ABAC compliance reviews, as well as conducting investigations of allegations of illegal activities related to the Foreign Corrupt Practices Act (FCPA), fraudulent financial reporting, asset misappropriation, procurement practices, vendor fraud, and conflict of interest. Alberto’s deep experience and understanding of Latin America's culture, customs, practices and risks have been invaluable when advising his clients on potential opportunities and challenges. Alberto is regularly called upon to advise corporations seeking guidance and assistance due to his passion for forensics work and continuous pursuit of building better bridges between Latin America and those seeking to do business in the region. Alberto’s main focus is assisting companies doing business in Latin America; however, his work experience expands world wide. Alberto has assisted clients on matters in the following countries: Mexico, Ecuador, Costa Rica, Paraguay, Bolivia, Peru, Dominican Republic, Colombia, Venezuela, Argentina, Brazil, Spain, Turkey, Russia, South Africa, Ivory Coast, Ghana, and Mozambique. Alberto has also assisted clients in performing Anti-corruption agent vetting due diligence on potential targets with operations in Latin America, Europe, the Middle East, Asia and Africa.